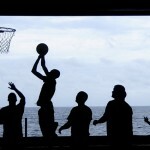 From humble beginnings, the game of basketball has grown to be a mainstay in both American and World Cultures. It is quite unlikely that when Dr. James Naismith invented the game in 1891 to provide students with a wintertime recreation option that he could ever envision the multi-billion dollar global industry that basketball has become. The first game was played when Dr. Naismith divided a class of 18 young men into two teams that he taught the thirteen rules he had created for the new game. 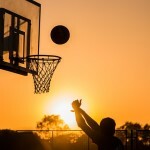 The popularity of the game would explode throughout the eastern portion of the country and just twenty years after its invention basketball would go international. In 1936 the game of basketball became an Olympic event and the United States would win the first gold medal. The popularity of the game would continue to grow and the NBA would be established in 1946. The NBA quickly became the dominant source of basketball play worldwide and has remained so until this day. The best way for a team to stop a great offensive basketball player is by having a great defensive basketball player guarding him. Playing solid defense is an art-form. You can be one of those great defensive players with the right attitude and commitment. To succeed, you need to learn the proper defensive techniques from a proper authority. In most cases, that proper authority will be your basketball coach. You can also get the information you need from a variety of other sources that might include NBA players and/or coaches. Remember: Defense wins as many games as offense. 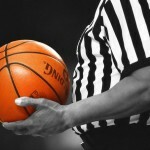 In this article, you’ll learn the essentials of how to train yourself to be the best basketball referee that you can be. With this article, you learn the basics, the advanced guide and the supplementary knowledge that you need in order to advance your career as a basketball official. If you want to start living your dream as the best NBA basketball referee that the world has ever known, then this article might be the first step in your journey to the moon. Good luck! Basketball is one of the United States of America’s favorite sports. It was invented in 1891 by a man teaching physical education in Massachusetts – Dr. James Naismith (who was actually a graduate student at the time of creation), who’d later go down in sports-related halls of fame for his contribution to the world of sports. Sources indicate that Dr. Naismith created what’s now known as basketball because he aimed to keep his school’s young athletes in shape throughout the offseason, all while allowing them to play an entertaining game; also, basketball was said to be formed as a safer alternative to gridiron football.